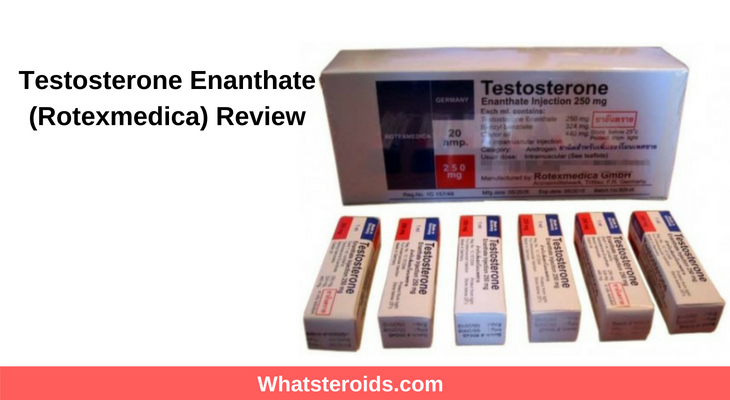 What is Testosterone Enanthate? What are some of the problems which may be associated with it? Testosterone Enanthate, a different version of the naturally produced male hormone testosterone, is used mainly by people to help build muscle mass. The way in which people obtain the testosterone for bodybuilding is usually through pharmaceutical companies abroad. This is especially the case in places such as the United Kingdom, where these are only available to people who lack natural testosterone. 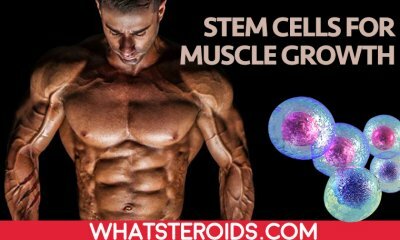 Testosterone is still number one steroid for building mass and can help anyone to within a short time increase his strength and weight. It aromatizes in high dosages, therefore, it is wise to use it with Proviron, Nolvadex or Arimidex. Testoviron depot is long-acting - up to three weeks but for bodybuilding, weightlifting, powerlifting purposes weekly injections are the way to go. One of the problems with using testosterone that hasn't been regulated in the UK means that if the company has mixed anything else with the testosterone there can be dire consequences and painful side effects. Another problem with drugs that have to be brought from a foreign country is that there is a chance that they are placebos or duds, where you pay the money for the real thing however instead you only get the equivalent to a sugar pill. One provider of Testosterone Enanthate is a German brand called Rotexmedica. The fact that the drugs are from Germany means that the goods do not take as long as if they were made from say South America. 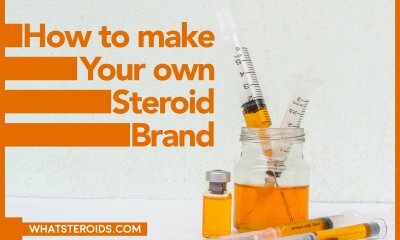 What to Do when You get your Steroids? One of the main methods of determining whether or not a drug is what it is, and more importantly whether it is safe or not, is to write down the batch number, manufacture date, the expiry date, and the registration number. This is to track what you have been using as well as handy if there is a recall from the company (which although unlikely may happen). Furthermore, if you post these details online in a forum you will be able to see if anyone else has some testosterone from the same batch and whether or not it is doing what it is supposed to. 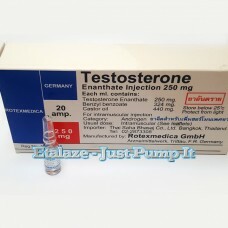 The testosterone drugs in question are from a German company called Rotexmedica and have a shelf life (from manufacturer date to expiry date) of around five years. From the forums that I have seen online, it seems that a fair few are using this product and have posted about their concerns around the testosterone mainly due to the price as well as the fact that with the forums that I have seen have origins in the UK. 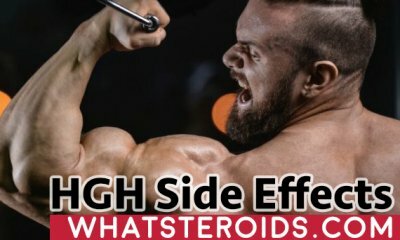 The two forums that I found are https://www.muscletalk.co.uk/m/tm.aspx?m=2919187&p=1 & https://www.uk-muscle.co.uk/topic/34130-rotexmedica-testosterone-enanthate-250mg1ml/. 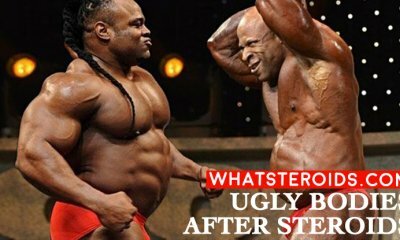 These both are from a while back, however, both talk about the same type of testosterone which is being covered in this article. 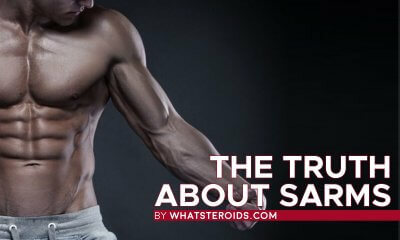 Quite a few of the people who wrote in the forums are concerned about the steroids due to their relative cheapness, and many others have responded stating how although they find the substance very thick and needs to be heated, as well as it stinging a bit in the location of the injection, the steroids are in fact good and true. One user claims that he is “starting to notice these bad boys kick in” after his 4th injection. Read more on eroids.com for this product brand. As time goes on, the differences between human and company/robot responses get harder and harder to differentiate. 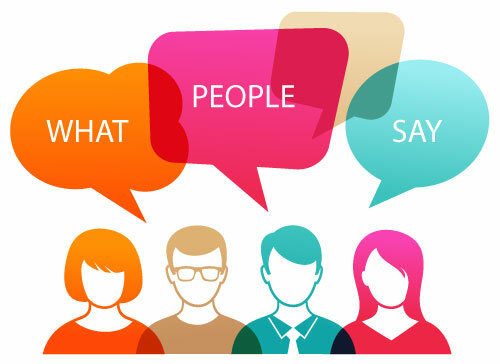 However, usually, the latter of the two will have a few differences which help differentiate them from real people. This is important to know the difference due to the fact that some companies may post fake reviews in order to lull people into a false sense of security. One of the ways which you can tell if an account is fake or not is the name/email/profile in general. If the email is a random sequence of numbers and letters it's a fair string chance it's a bot account. One thing that seems to be a reoccurring theme is the fact that quite a few people experience pain from the injections, some reporting more pain and discomfort than others. This may be a factor for some people as there are other steroids (such as one user posted, they took Iranian enanthate for 5 weeks before moving onto the testosterone Enanthate) which cause far less or no pain depending on your tolerance. The problem with the pain that is mentioned is that it is not short-term pain, it is medium to long-term pain with users claiming they have had pains ranging from 10 minutes to a few hours to weeks, which can impact day to day life. Another cause for concern and general inquiry is the fact that although the product is entirely owned by European countries (France and Germany) the writing which most people have mentioned is Thai. No one is entirely sure why but for those who want to make sure they know exactly what is said on the box may be a bit cautious due to this. Furthermore, there has been one comment saying that although the majority of the tests have been turning out as “clear as water” however one turned out yellow. 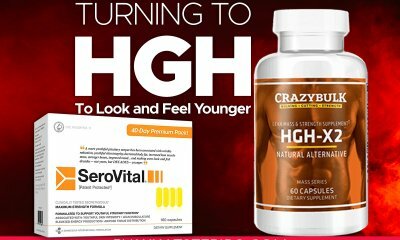 However people have been saying how they do think it is legitimate and quite a few people have stated how they have increased substantially in muscle mass, as well as one person stating they felt their libido increasing, which is a symptom of increased testosterone in the system. Furthermore, if you live somewhere like the UK this product is beneficial for the environment, as in comparison to a product made in the USA the testosterone has fewer air miles. What about using Testosterone Cypionate? 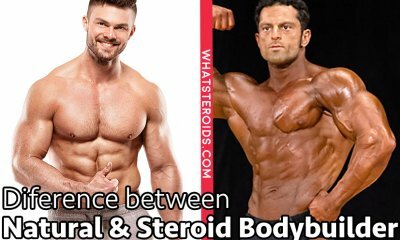 Chemically, there is very little difference between the two testosterone steroids. This results in such a small difference overall that the only real difference is price, with the enanthate being a little cheaper. 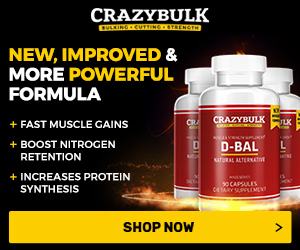 Or other Brands of Testosterone Enanthate? You can buy other brands, however in a world full of uncertainties and you know that Rotexmedica is trustworthy (not one person has said for definite that their batch was a dud), unless you are certain about another brand being legitimate u personally wouldn't risk it. Overall this is a steroid that seems to be legit. Various legitimate people have confirmed that the drugs are in fact safe and the real deal. However quite a few of the reviews have mentioned that they have a pain where they have injected themselves, which may last for a few days at worst.